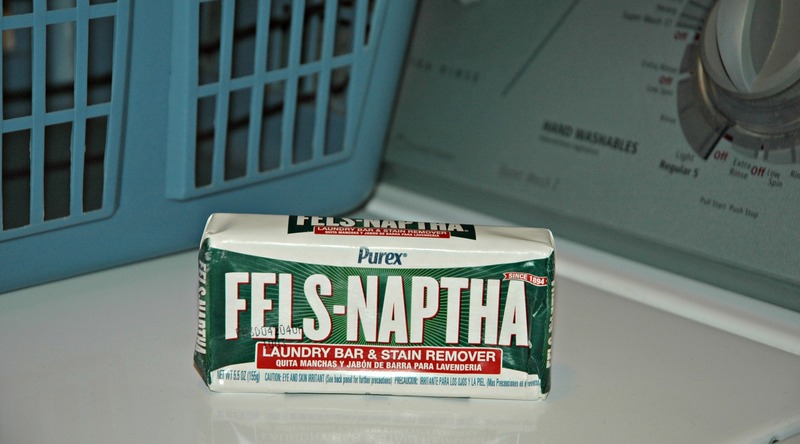 I recently had the opportunity to try out the new Purex Fels-Naptha Laundry Bar, and I have three free coupons to give away to Saving Cent by Cent readers! The Purex Laundry Bar is easy to use. You simply wet the bar, rub the stains, and wait for a couple of minutes. Then wash your clothes as you normally would, and the stains will be gone. I have an almost 2-year-old daughter that gets food all over her clothes every time she eats, so I decided to test out the bar on her clothes. I wet the bar, rubbed it on the food stain, and then threw the clothes in the wash. The laundry soap bar worked great and the stain came out. The Purex Fels-Naptha Bar is a stain remover that gets stains out the first time through the wash. It’s great for dirt, grease, and ring-around-the-collar. The bar is easy to use, more effective than spray, and it’s safe on colors. I’m actually looking forward to trying it out on my husband’s work clothes to see if it will remove greasy stains. Thanks to Purex, three Saving Cent by Cent readers will each win a coupon for a FREE Purex Fels-Naptha Laundry Bar. To enter the giveaway, just use the Rafflecopter form below.